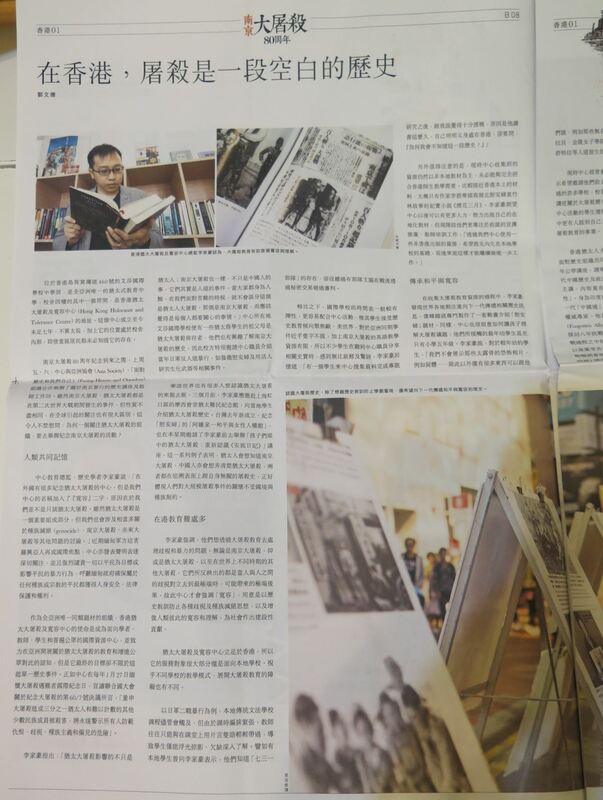 Chinese-language press HK01 recently covers HKHTC’s educational work on the Nanjing atrocities in Hong Kong. 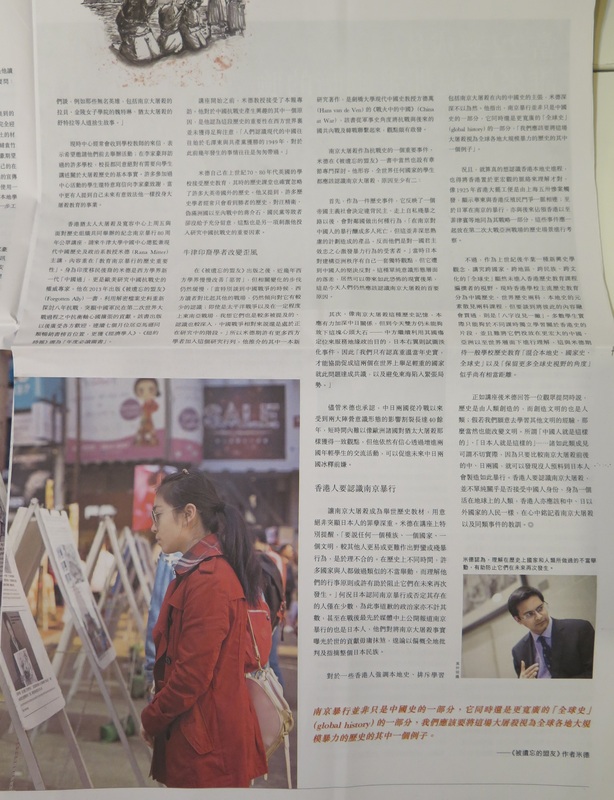 HKHTC Director of Education Simon K. Li and Oxford University’s China scholar Rana Mitter, who gave a keynote presentation “Remembering Nanjing: 80 Years Later” during a commemorative event co-organized by the HKHTC in December 2017, were interviewed in the feature article. An excerpt of the article can be accessed here.